It’s a big, brown, slightly broken, archaic monstrosity…but it’s mine. 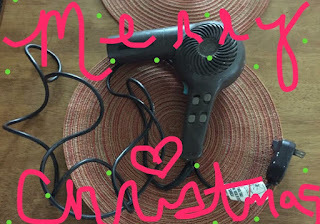 The hairdryer I got in the 8th grade, for Christmas 1986. Despite its thirty years, it still works. However, I have apparently tripped over the cord and bounced it off of the bathroom tile one too many times because occasionally, I have to squeeze the seam back together while flipping the switch to get it running. But, with just the right finessing, it pops back into place and purrs back to life. My husband has offered, repeatedly, to get me a new one. Reminding me that it’s perfectly alright to replace it. But I just can’t. You see, it was my Christmas present. The present. The only present…8 months before my family finally threw in the towel and limped our way kicking and screaming to Iowa after my dad's company was "acquired." My 13 year-old self learned the ugly meanings of lots of words like “acquired,” including "merger" and "downsize" and "independent contractors" as she was swept up in the aftermath of what has been called "one of the ugliest takeovers in Wall Street history." My brother and I had paper routes and I babysat like crazy to pay for school clothes, shoes, and all the other little things that came along the way. I helped out in the school kitchen for free lunch. My mother watched kids in our home, made cakes to order and sewed clothes and costumes for neighborhood customers. And my dad took the extra hauls, whenever they were available. But by my 8th grade year, my dad had gone from driving a truck to loading one, for minimum wage…with a wife and five kids. And I still remember, that tearful moment when my parents told me, that as the oldest, there wouldn’t be much for me under the tree. I was okay. I wasn’t worried for me. I wasn’t the one with the tears. 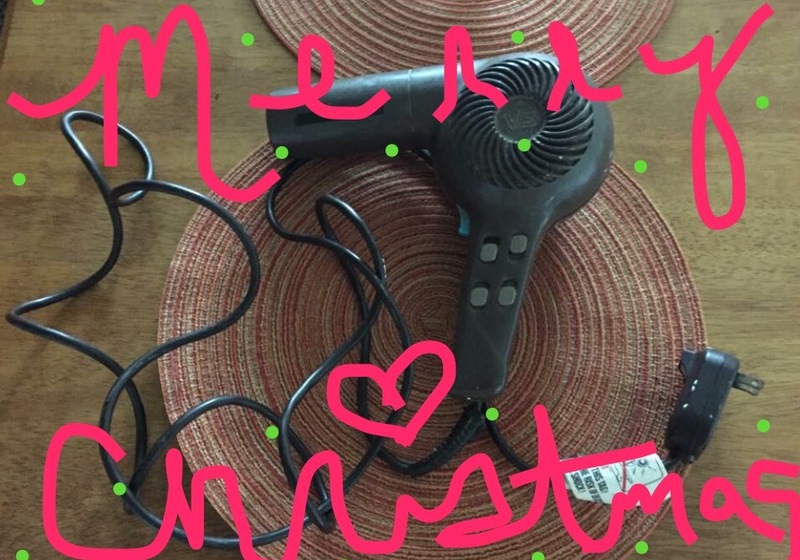 But on Christmas morning, somehow, there was a box with a bow and a big brown hairdryer. And then I was the one in tears. “It’s not that bad,” my brother soothed, oblivious to the true reason for the tears. And as I looked down, yes it was. It was huge and horrible and just…well…a hairdryer. But it was MINE. Because over time, I have also come to learn the beautiful meaning of the word "gratitude" for something as ugly as this big brown hairdryer.